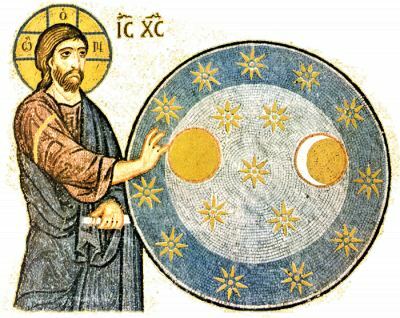 The interpretation of the Genesis account of creation in light of ongoing scientific discoveries and theories is regularly discussed today by Orthodox Christians. 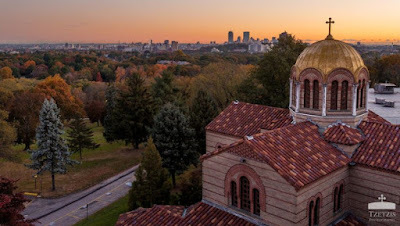 The following statement, written in 1982 and in the context of a specific decision of the court, offers a concise expression of Orthodox Christian teaching on the matter and should be useful for those seeking to study the topic more closely. This statement has been slightly edited to correct minor infelicities of language in the original. The footnote about the 1982 court decision was also added for those seeking to explore the original context of the statement (February 2011). Obviously, the statement does not comment on any scientific discoveries or discussions of the issue since 1982. Among Orthodox Christians there are varying views on the creation of the world by God and the theories of evolution developed over the years since the time of Darwin. No official Orthodox pronouncement exists on these topics. The following topics form an outline of a consistent Orthodox position that may serve as a response to the contemporary issues of the teaching of “Creation Science” together with “Evolution Science” in the public schools of the nation. The basic teaching of the Orthodox Church that has impact on this issue is the affirmation that God has created all things, and that this creation is “out of nothing.” God is sharply distinguished in Orthodox teaching from all the rest of material and spiritual existence. He alone is Creator. All the rest is “creature” or created existence. The biblical account of Creation is seen by the Church as affirming this truth, as well as presenting the truth that God brought into existence the various material bodies, life in general, and the various forms of aquatic and terrestrial animal life. Most importantly, God is understood as being responsible for the unique and special existence of humanity which in the teaching of the Greek Fathers, is a “microcosm,” uniting uniquely in human nature both the material and spiritual worlds. That God created humanity “in His image and likeness” (cf. Genesis 1.26) means that human beings were created with many god-like gifts, and with the capacity to realize their potentials to their fullness, through their free cooperation with God, in fellowship and communion with God. That God is creator, that the harmonious relationship of the human being with self, with other and with God is the human goal, a goal often referred to as theosis or “god-likeness” is the message of the Genesis account. This is the essential aspect of the revelation contained there, as is the subsequent revelation of the fall of humanity, breaking and distorting human relationships with self, others, and God. The traditional Orthodox view of the Genesis account, therefore, does not see it as a literal scientific account of the physical processes of the origins of the physical universe, nor a scientific account of the origins of life, or of the origins of human existence. Thus, St. Basil writing his work “On the Six Days of Creation” in the fourth century, did not limit himself to the Genesis account, but used the scientific information and philosophical terminology of his day to present a balanced account of the origins of the world, both spiritual and scientific. The discovery of complex development in the long history of the existence of the physical world, and the development of the evolutionary theories since the time of Charles Darwin, created a still broiling controversy among some scientists and some religionists. On one side, evolutionary theories that sought to interpret paleontological evidence, often times were cast in forms that were deliberately anti-religious. It is generally accepted that science has been able to find, categorized, and date fossil remains in a fashion that shows orderly development. Several evolutionary theories exist in order to interpret these facts. Some of the theories are purely mechanistic, leaving out any reference to or need for God’s creative, guiding and sustaining power. Not a few expositors of these views have used them to attack the Christian teaching of God as creator, as well as the credibility of the scriptural account of creation. One response to this attitude has been the development of “Creationist Science.” It is generally accepted that the institutions and persons responsible for “Creation Science” are fundamentalist Christians who approach the Bible as a whole, and Genesis in particular, from a literalist point of view. Creationist Scientists point to the many lapses, lacunae and contradictions in the standard evolutionary theories, and hold that the systems of the universe have to be accounted for in terms of instantaneous supernatural and distinct acts of creation. Another response more characteristic of the Orthodox approach, and accepted by many Roman Catholic and non-fundamentalist Protestants, may be characterized as theistic evolution. This view rejects evolutionary theories, which are formulated in exclusively materialistic perspectives primarily because they fail to acknowledge the non-material spiritual verities of existence. Theistic evolutionary development, seeing in it justification for the view that God uses such processes not only to bring into existence the material world, but to guide it in its material development. The world as described by objective scientific description is, after all, God’s world, and it must be understood as such so that one truth about the origins of the world is maintained. From a theistic evolutionary position, the Arkansas law was, in itself, inadequate, since it ordered that a “Creation Science” view had to be taught along with evolutionary theories, leaving out the theistic evolutionary approach. This may explain why many nonfundamentalist clergy joined the American Civil Liberties Union in challenging the law in the courts. It was probably good that this particular law was struck down. Though the specific form of the Arkansas law probably doomed it from the beginning, the general motive for it is valid. It is our judgment that the issue regarding Creationism and Evolutionary Theory is an important one. But more significant for our nation is the resolution of the problem that is constitutional in nature. Will the trend toward the adoption by the state powers of an anti-religious stance in public life in general and public education in particular continue? We see this as a practice that reflects neither the intent nor the content of the First Amendment. The Orthodox would protest this trend, and call on all involved to develop the means by which it will be reversed. A more evenhanded and balanced approach is needed. The Creationist-Evolution Theory controversy is only one case in point.